This fabulous material is on everything from pillows to t-shirts. The "mermaid" sequins change color right before your eyes. Girls will love the design and will want to carry the Sequin Sparkle and Change Bible everywhere! My Thoughts: The first thing I thought when I saw this bible was that it would make a perfect Christmas gift. 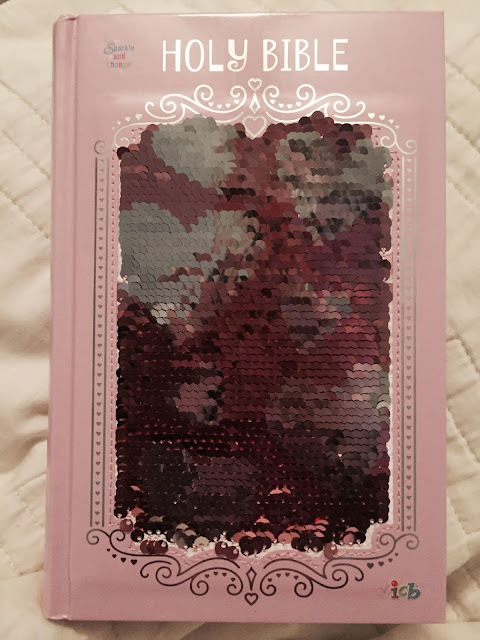 It has a hard cover and the sequins are a lot of fun to play with, not to mention very popular. On the inside the print is large and easy to read. There are helpful additions like a timeline, and colored maps that really make it come alive.